"Why do my apps keep crashing on my iPhone? Updated to current version iOS 10.3.1 today and suddenly most of my apps don't work. They will start to load, hang forever, then close. Over and over, nothing finishes and opens. I have important things need to do. Email. Safari. Games that need attention or I'll get everything stolen." iOS 10.3.1 is officially available on April 5, 2017 and has attracted a lot of fans with the newly added features. 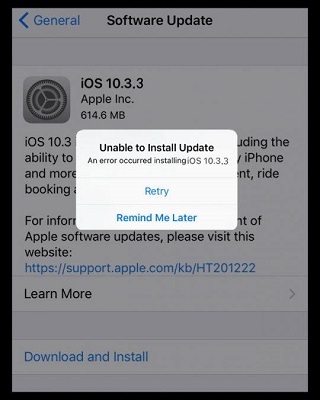 But recently, some users complained iOS 10.3.1 update crashes most apps on iPhone, including Facebook, Instagram, Messenger, Email and etc. System incompatibility, caches and cookies accumulated, code error or third-party service can all be the reasons for app freezing on iPhone. Luckily, with Tenorshare iCareFone - professional iOS system caring software, you can easily fix app crashing on iPhone, iPad and iPod after update without losing data. Tenorshare iCareFone is able to stop app from crashing or closing by downloading the latest software version and repairing the operating system. Free download and install this versatile tool to your computer and follow the steps to see how easy to use it. Run Tenorshare iCareFone and then connect your iPhone to computer, the software will detect your device automatically. Click “Repair Operating System” from the main interface. Now you need to download the firmware package before system repairing. Click “Browse” to select a save path and then press “Download” to download the firmware. After download, click “Repair” to start repairing iOS system. When the process completes, your crashing apps will work normally. When iPhone/iPad apps crashing frequently after update, the simplest solution is to close the app and reopen it. To force closing app, press the Home button two times quickly to access the app switcher, you’ll see the recently used apps. Find the one you want to quit and swipe up on the app’s preview to close it. Another simple method to fix iPhone apps keep closing immediately by themselves after iOS 10.3.1 update is to reboot your iOS device. Press and hold both the Sleep/Wake and Home buttons simultaneously for at least 10 seconds until you see the Apple logo. After restarting iPhone, you can launch the stuck apps to see if its working now. Sometimes iOS apps crashing on startup or launch can be lacking for space. Take Safari for example, go to Setting, Safari and then click “Clear History and Website Data” at the bottom. However, most apps do not have an option in Settings; you can check how to clean out app cache on iPhone. If the applications still not working on iPhone after trying the methods above, you may need to uninstall the app and reinstall it. Just go to the Home Screen, tab and hold on the app you want to delete, tap on the “X” to uninstall it. Now open App Store to download and install the app again. By now, I bet you must know how to fix app crash on iPhone after iOS 11/10.3 update clearly. Tenorshare iCareFone really can be the best software for iOS system, isn’t it?